C3’s operations, technology and expertise caters to improving yields, controlling batch consistency, and decreasing manufacturing costs. C3 has over 25 years of experience with 2,500+ cell lines and 1,700+ labs. We offer GMP and non-classified (RUO) production options, with competitive pricing scaled according to project size and need. Our years of experience and unique bioreactor technology ensures consistency both between lots and on scale-up. Our facilities, expertise, and technology enables us to offer our low prices. 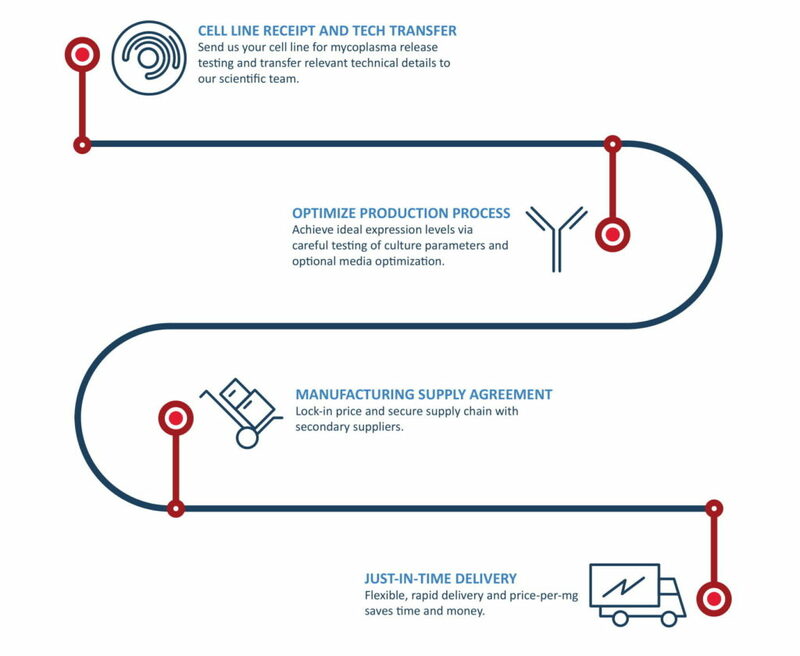 We provide options for a unique service structure with fixed pricing, safety stock, and just-in-time shipping. Contact us to learn more. We use a combination of our in-house expertise in solving common and uncommon production challenges as well as innovative biomanufacturing technology.